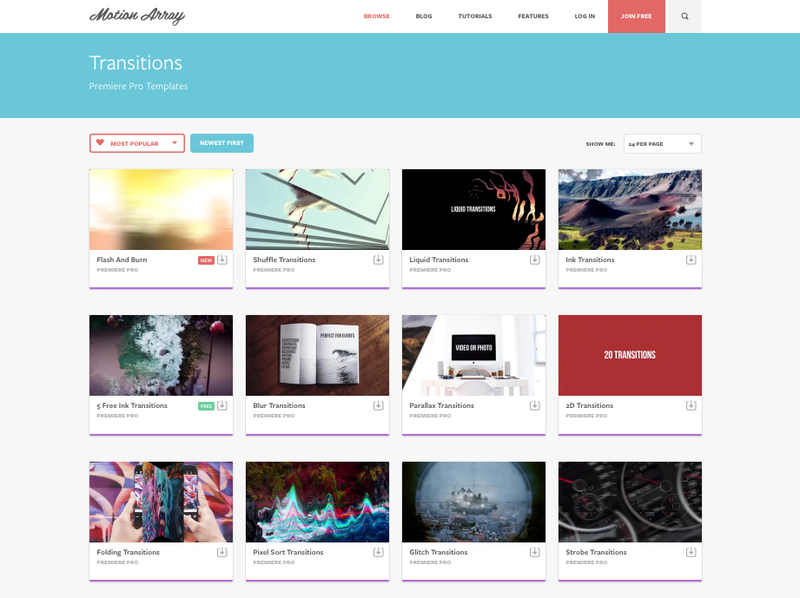 Motion Array is a marketplace for video producers and designers with a twist. Creative marketplaces are no new thing. 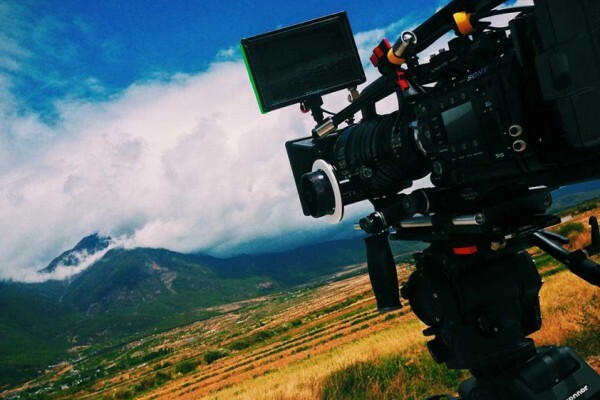 Many video producers rely on them heavily to make their job easier, and to save time and money. So, why give Motion Array a look when there are several other options out there? Well, here are a few reasons. One of the most interesting ways that Motion Array is twisting the asset marketplace concept is in its pricing structure. Whereas many marketplaces work on a pay per download model, Motion Array has opted for a subscription based model. In a pay per download model, buyers will often pay upwards of $50 or more for something like an After Effects Template. But by building a subscriber base with monthly fees, Motion Array can bring down the cost of each item to as low as about $2.50. Although, you may not initially think you need that many downloads, the low cost makes it easier to go back and find more assets that can help with your project. Plus, you can more easily try several assets to figure out which will work best without having to worry about making a poor purchase decision. There are 3 subscription levels, depending on what your needs are. These are the Lite, Plus, and Pro plans. The Lite plan is $19 a month for 4 downloads. So, roughly $5 a download. The Plus plan gives you 10 downloads for $29, bringing it down to about $3 per download. And the Pro plan gets you 20 downloads for $49 a month, making each download just under $2.50. 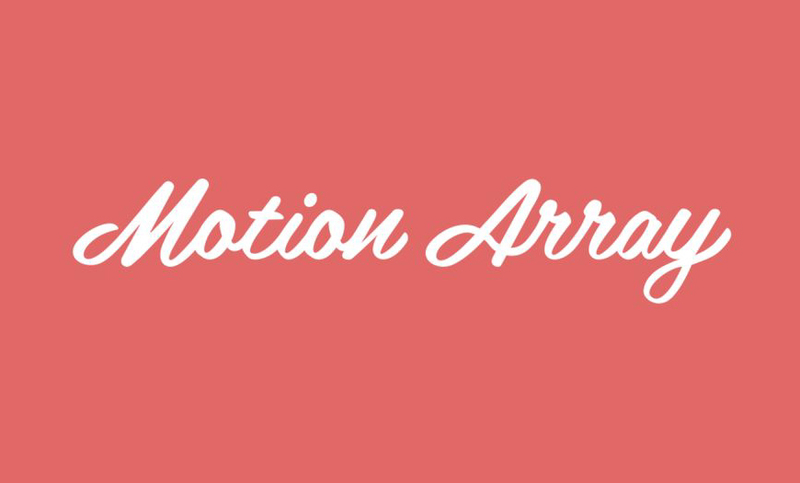 It’s worth mentioning that there is also a free plan where you can download all of the free items that Motion Array adds from time to time. Motion Array has worked hard to continue to vary the library with more types of assets, especially in the past year or two. What started out as largely an After Effects templates library, now houses stock music, stock video, stock motion graphics, and Premiere Pro templates. The Premiere Pro templates are the newest addition, and they are something you don’t currently find in a lot of creative asset marketplaces. The other key factor that sets Motion Array apart from some competitors is the overall quality of the products. Some marketplaces use the firehose method for assets. Meaning that they’ll accept just about anything that a producer wants to submit. While this does mean larger libraries and more choices, it also means more times spent sifting through the muck to find something you can use. Motion Array profit shares with its producers, and it takes them very seriously. Each producer is hand selected to join the marketplace and several quality controls are in place to make sure that each asset in the library is top notch. It’s just like having only the best content available without all of the other junk in the way. But don’t think that just because they curate their marketplace there won’t be much content available. They’ve already got roughly 10,500 assets in the library with more being added everyday. There are plenty of items to make most any video producer or designer happy. The MA site is well laid out with direct links to each type of asset. Everything is previewable without clicking on individual product pages. But the product pages are helpful with details about which applications are needed and what plugins are needed, if any. All in all, Motion Array is a great marketplace for several types of creative assets that most any video producer or designer can use. But it’s also worth mentioning that they are adding more features to make the site even more useful to their subscribers. 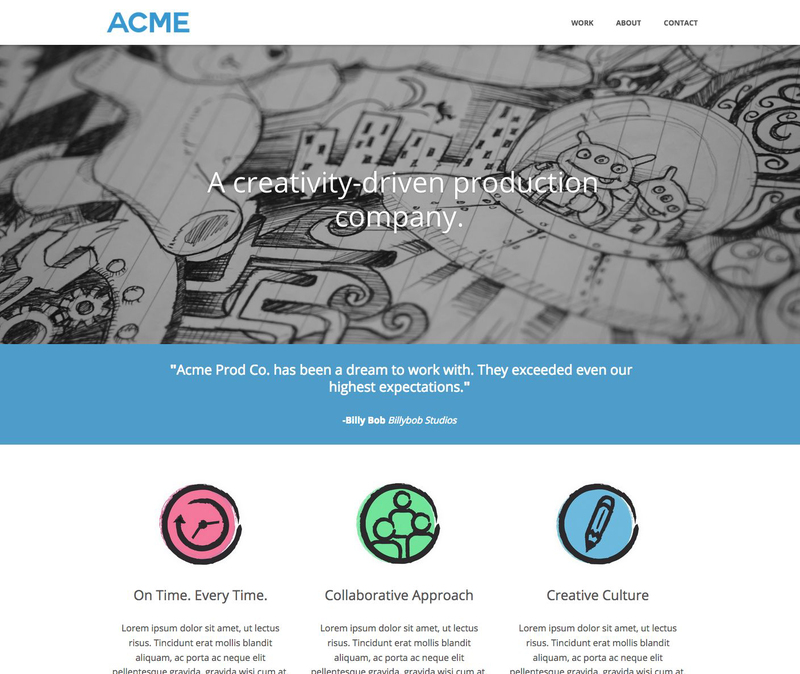 They already have an active blog covering all types of topics around video creation and design. They also have a tutorial section with lessons on how to use products and software tips. The newest feature is custom video portfolio sites for all paid subscribers. They’ve built a simple, but elegant site builder where users can upload their videos, add in contact info, logos, and additional text to have a custom website in minutes. They can even point to their own domain, or use a custom domain provided by Motion Array. This new feature just shows that Motion Array has some big ideas about how to expand beyond just a marketplace to a site that will be a go do for any content producer. It’s worth taking a look at what they have to offer, downloading a few free projects, and maybe signing up for a plan to see how useful it can be. For more information, visit motionarray.com. This article is sponsored by Motion Array.